Horizontal vessels with vertical orientated coalescing filter elements, multistage filtration utilizing gravitational settling and inertial impact. Filter elements incorporate particulate and coalescing sub micron filtration. 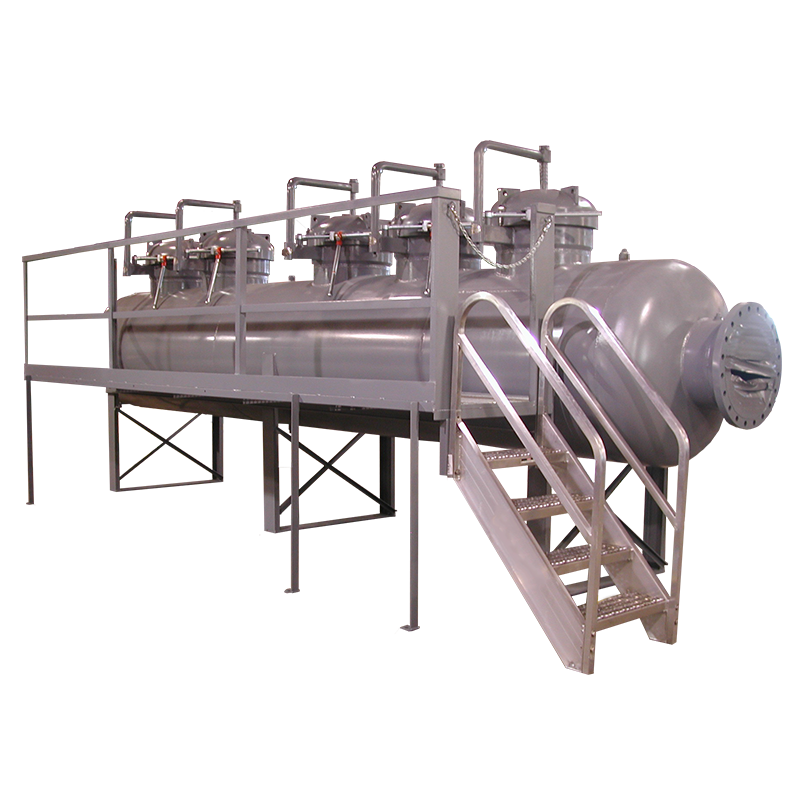 Integral slug catcher with (2) sump holding chambers with ease in maintenance and service – Hundreds in successful service – Vertical filtration (not horizontal or vane packs). A proven vertical coalescing system, new technology improving efficiency and maintenance down time while expanding element life. Quick opening closures – no tools required, no compressors or impact tools required. The R100 replaced a competitive horizontal element unit that required seven 4” x 36” elements, with change out needed every two weeks. The new R100 filter with only three elements operated continuously for six months without needing any service saving the owner seventy-five hours of remote field maintenance and over $20,000 in replacement filter elements. Payback on investment in as little as 9 months.